Sandra Leal, PharmD, MPH, FAPhA, CDE and Marisa Rowen, PharmD, CDE from El Rio Community Health Center system gave a presentation on their Project IMPACT: Diabetes communities at the Emerging Models for Clinical Pharmacists in Primary Care on January 31, 2014. 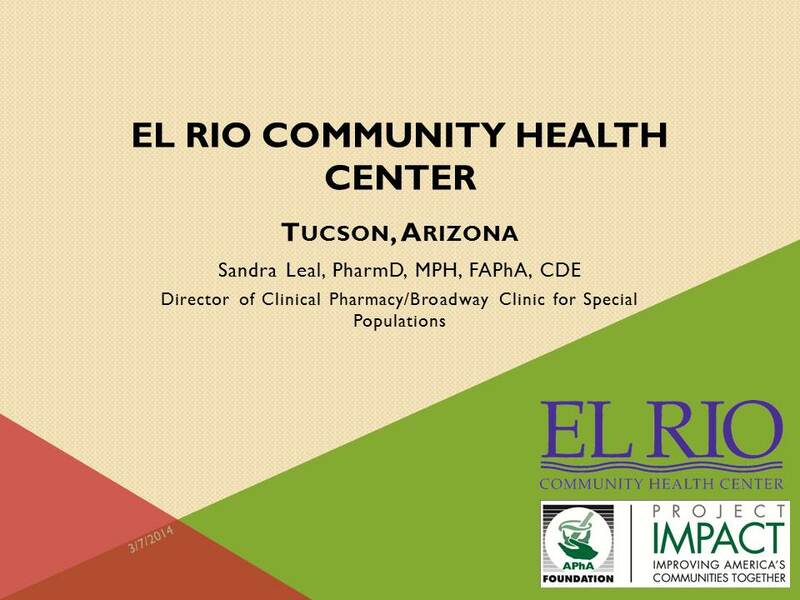 Leal was Community Champion during the project for the El Rio Community Health Center in Tucson, AZ. Rowen was Community Champion for Pascua Yacqui Reservation of the El Rio Health Center. The before and after Project IMPACT: Diabetes videos for both communities were shown, as well as videos for a Federally Qualified Health Center and Accountable Care Organization in Arizona, showing the impact of clinical pharmacy services in other types of settings. Steve Chen from University of Southern California shared results from his CMMI project and discussed provider status in California. Provider status discussions at the event indicated that Arizona will likely submit a pharmacy provider status bill this legislative session. 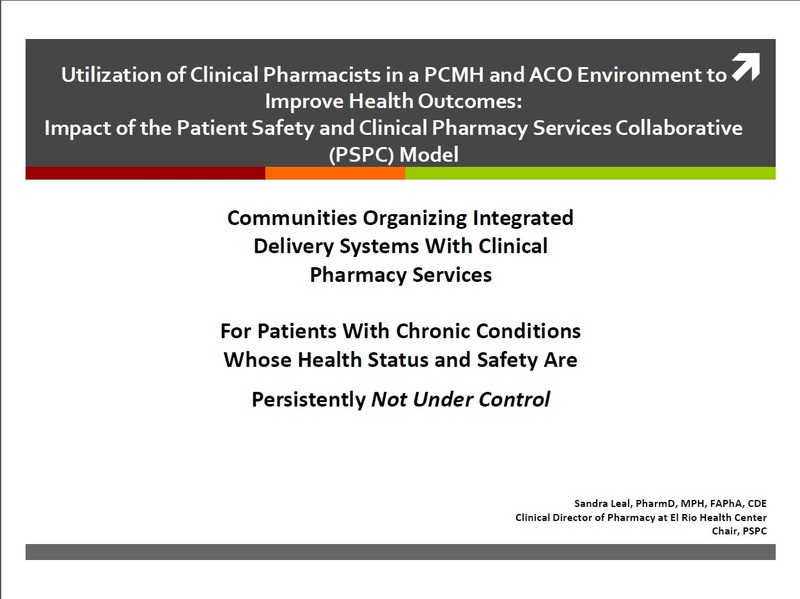 The key message of the presentation was that the utilizing of clinical pharmacists in a patient-centered medical home and accountable care organization improves health outcomes. The meeting was mostly attended by administrators and medical doctors interested in learning about clinical pharmacy integration in underserved populations. They were highly engaged in the presentation. The purpose of the presentation was to showcase the value proposition of integrating clinical pharmacy services by showing the outcomes of Project IMPACT Diabetes. There was a lot of interest shown in developing similar models in California. A collaborative between APhA Foundation and AIMM was discussed as a potential team to join and contribute data.